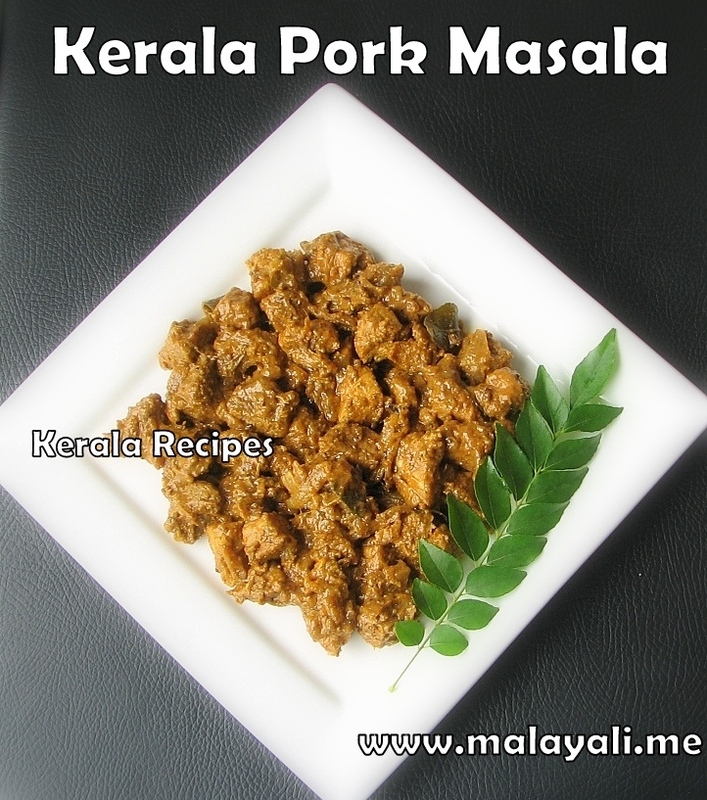 All you Pork Lovers out there, here is a recipe for a spicy, Kerala style Pork Masala. 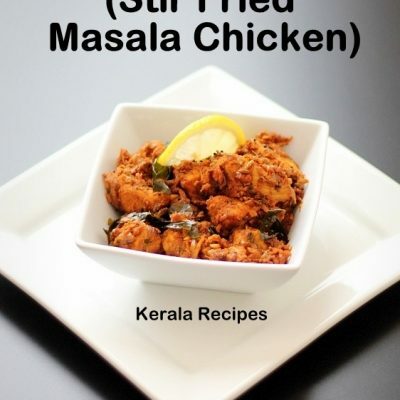 The meat is coated in a thick masala gravy. My husband loves this dish. 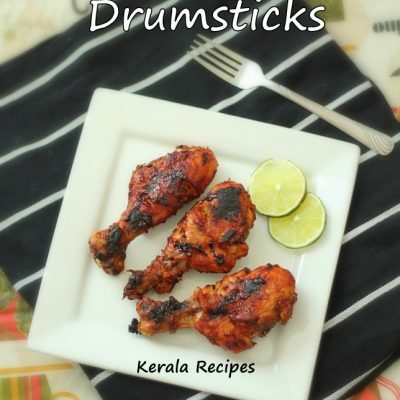 Enjoy it with Rice, Appam or Rotis! Clean the meat thoroughly and cut it into bite sized pieces. Marinate the pork with little salt, ginger garlic paste, turmeric, coriander, meat masala, black pepper and red chilly powders for around 20 minutes. Transfer the meat to a heavy bottomed pan and throw in a sprig of curry leaves and chopped cilantro. Cover and cook the marinated pork for around 20 minutes, stirring occasionally. I don’t add water since the meat will let out water. Open the pan and add 1 to 1.5 tsp garam masala powder and 1/2 tsp fennel seeds powder. Continue to cook on medium-low heat for another 10 minutes. If you need more gravy, you can add 1/2 cup of water to the pan. Add 1 tsp vinegar to the pan. Do a taste test and add salt if needed. Meanwhile, heat 2 tbsp oil in another pan and splutter mustard seeds. Add onions and a sprig of curry leaves and saute until the onions are nicely browned. The onions should be thoroughly fried. Transfer the fried onions to the Pork Masala. Simmer for a few minutes. The water would have evaporated and the pork will be covered with a thick masala gravy. 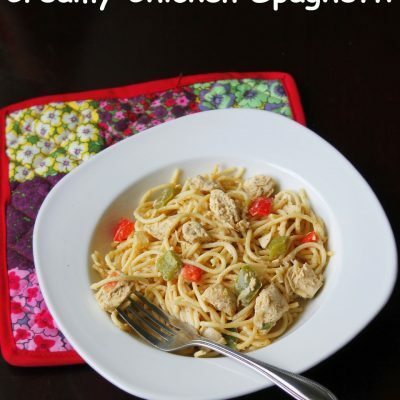 this is a very good recipe..I prepared it and really enjoyed having it.. 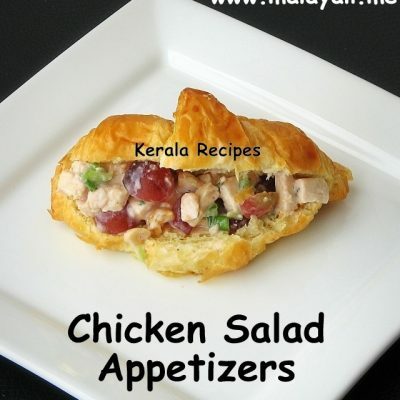 Thank you for these tasty Kerala recipes. 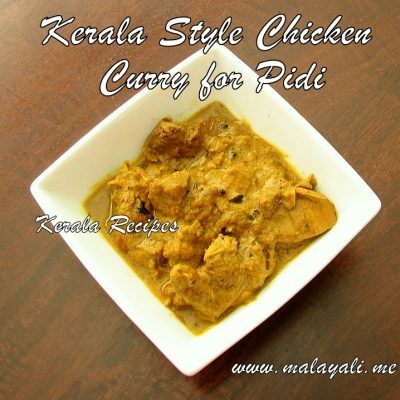 Helps us newbies in preparing Kerala dishes. Tried this last weekend and all friends finished it so quickly. A very easy and tasty recipe. good. it is very tasty. my husband really liked it.THANK U VERY MUCH !